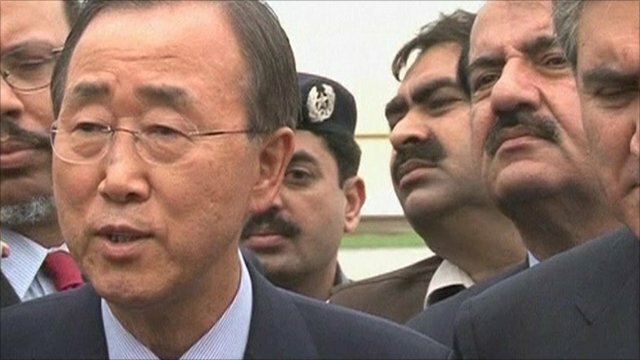 UN chief's sorrow at Pakistan crisis Jump to media player UN Secretary General Ban Ki-moon has described as "heart-wrenching" the destruction he witnessed on a visit to flood-devastated Pakistan. 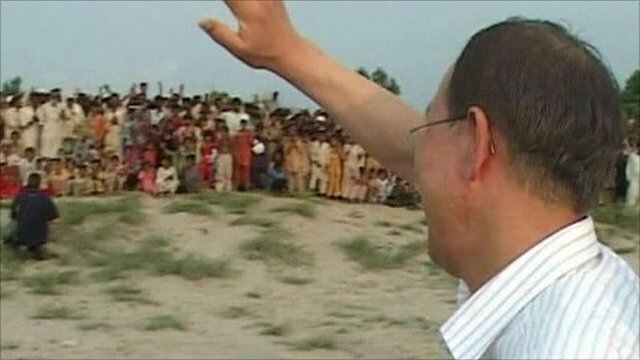 With UN chief on Pakistan mission Jump to media player UN Secretary General Ban Ki-moon has described as "heart-wrenching" the destruction he witnessed on a visit to flood-devastated Pakistan. 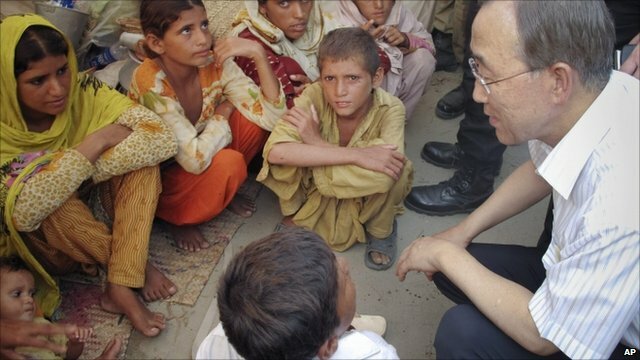 Ban Ki-moon urges speedy Pakistan aid Jump to media player UN Secretary General Ban Ki-moon has urged the world to speed up aid to Pakistan. 'A disaster of epic proportions' Jump to media player Aid workers in Pakistan are becoming increasingly concerned about the spread of waterborne diseases in flood-hit areas of the country. Mr Ban, speaking at a news conference alongside Pakistan President Asif Ali Zardari, said the scale of the disaster was greater than anything he had seen before.